Maintain NEUTRAL on a revised DCF-derived Target Price of SGD1.68 (WACC: 8.5%, TG: 1.5%), from SGD1.95, 5% upside and backed by c.6% dividend yield in 2018F. 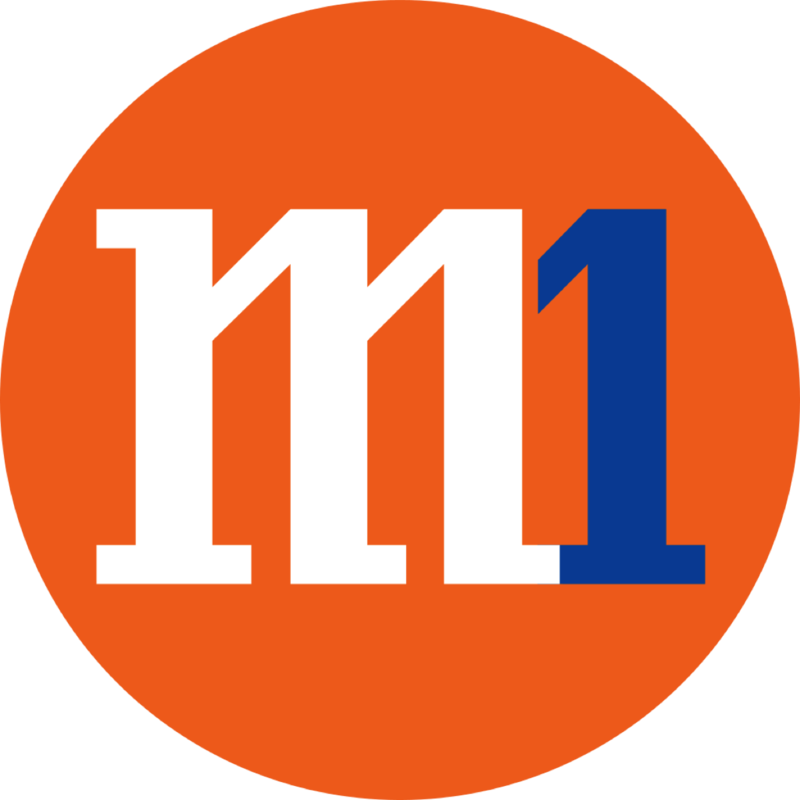 M1’s 1H18 results were broadly in line, with the continuing strong momentum from Circles.Life and fixed network services. Management has, however, guided for weaker 2H earnings from the entry of TPG. We trim FY19F-20F core earnings by 5-7% on housekeeping and after reviewing our longer-term capex assumptions. We prefer Singtel (SGX:Z74; Rating: BUY, Target Price: SGD3.90) for exposure to Singapore telcos. M1’s 1H18 core earnings (+3.8% y-o-y) formed 60%/57% of our/consensus estimates. We deem this to be broadly in line, on expectations of a weaker 2H with the impending rollout by TPG Telecom. Core EBITDA and core earnings were up 4.1% and 3% q-o-q on stronger mobile and fixed services revenue. An expected SGD0.052 DPS has been declared, which translates into a payout of 66%. Service revenue growth accelerated to 5.2% y-o-y in 2Q18 (+4.5% q-o-q) from 3% in 1Q18, driven by stonger postpaid (+5.7% y-o-y/+4.2% q-o-q) and fixed services (enterprise) revenue (+27.4% y-o-y/+15% q-o-q). M1 continues to benefit from the good subs traction generated by its mobile virtual network operator (MNVO) customer, Circles.Life (CL), with a record quarterly postpaid subs addition of 34,000 (1Q18: 12,000). Management indicated SIM-only plans were the key driver but refrained from disclosing the contributions from CL. SIM-only plans now make up 17% of M1’s postpaid base (which includes CL) vs 12% in 1Q18. 2Q18 postpaid ARPU was steady at SGD56 (-0.4% y-o-y) on seasonally stronger roaming revenue and excess data usage. Average postpaid data usage widened to 5.2GB per sub/month (1Q18: 4.5GB per sub/month) from 3.9GB per sub/month in 2Q17. Meanwhile, prepaid revenue remained under pressure, down 11.1% in 1H18 (flat q-o-q), with subs deletion rising to 63,000 from 59,000 in 1Q18 on stiff competition. M1 is focusing more on profitable prepaid subs and continues to incentivise the trade to address the prepaid weakness. Fixed services to remain the strongest growth driver. M1 remains positive on the revenue opportunities arising from smart nation projects and the digitalisation initiatives undertaken by enterprises. For 5G, it belives the global standard will only be ratified in 2019, with the relevant device ecosystem to follow 6-9 months thereafter. M1 has, however, embarked on early multi-vendor 5G trials to stay competitive and to remain at the forefront of technology advancements. On the Internet of Things (IoT), management believes adoption will take time and revenue contribution is not likely to be significant in the medium term. 2H earnings were guided to be lower y-o-y, implying that core earnings are likely to fall below SGD69m, or a quarterly run-rate of SGD35m. Our FY18 forecast has modelled in a 32.3% y-o-y decline in 2H18 core earnings. We lower FY19F-20F core earnings by 5-7%, after housekeeping and reviewing our longer-term capex assumptions. Management did not provide any new details on the network collaboration pact with StarHub (SGX:CC3, Rating: NEUTRAL, Target Price: SGD1.90) except to say that discussions are still continuing, with the scope extended to indoor antennae systems.